You might want to purchase, borrow or hire a kitten pen (or large dog ‘crate’ of similar construction). A kitten pen is a large metal cage with a solid floor that is normally used for kittening queens or cats after surgery that need to be confined. You could also use one which goes in the back of a car for dogs. It is quite large with plenty of room for a bed, toys, food, water and a litter tray. Many are easily collapsible to enable the pen to be moved from room to room. It is an invaluable asset when you have a new kitten. You can start with it in a quiet room and move it more into the centre of activity as the kitten settles in. It gives you somewhere to put the kitten safely at night or when you are not around to watch it (the term curiosity killed the cat was not doubt coined for kittens!). Getting to know the kitten is really important to enable a bond to be created so interaction should take place during the times when it feels naturally active and appears responsive. No matter how cute a kitten looks it should never be woken for affection or playtime. 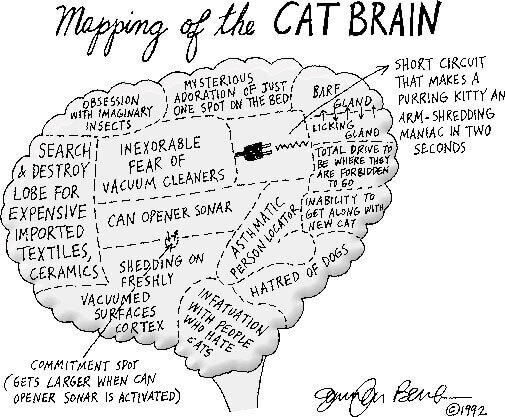 If the kitten seems receptive, play with it but don’t persevere if it seems disinterested or anxious; there’s a lot to take in at the start. 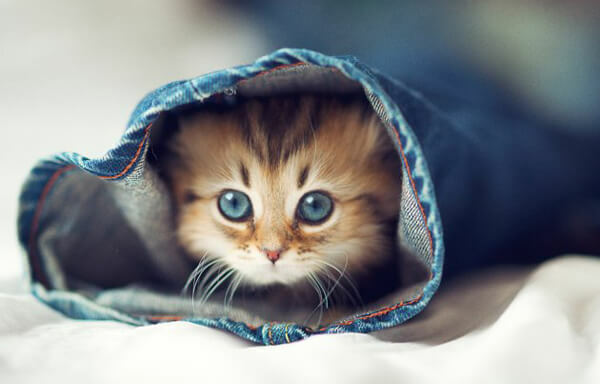 Don’t coax the kitten out of a hiding place; spend time in the room reading a book or watching television, for example, instead of forcing the relationship to develop. If you want to appeal to your new kitten, spend time on the floor at kitten level – allow family members to visit individually rather than crowding into the room all at once. When you first take a kitten home feed it on the same food it has been used to. A sudden change of diet combined with the stress of adapting to a new home can cause stomach upsets and diarrhoea. If you want to change the diet, do so gradually by mixing it with the kitten’s usual food. Kittens have small stomachs and have to be fed little and often, like babies. It can be very difficult to put together a homemade diet which provides all the nutrients required by growing kittens – it is a great deal easier to feed a good quality commercial kitten food and spend the time playing with the kitten instead! There are foods which have been specially formulated for kittens because they have different nutritional needs to the fully grown cat. Read and follow the feeding instructions carefully. If the food is marked ‘complete’ it contains everything the kitten needs to stay healthy. If it is marked ‘complementary’ it does not supply all the kitten needs and should be fed with other foods. Do not give your kitten cow’s milk as it can cause diarrhoea. If you wish to feed milk use one that is specially formulated for cats. Diarrhoea that persists for more than 24 hours requires veterinary attention. Fresh drinking water should be available at all times. 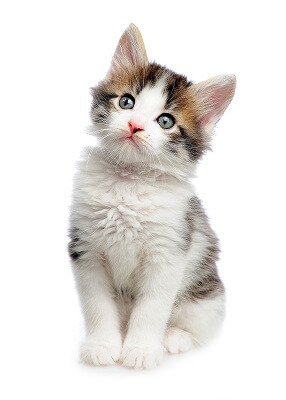 Because of potential infection from diseases such as enteritis or cat flu, your kitten should not be allowed outside until at least a week after it has finished its first course of vaccinations at about 13 – 14 weeks old (depending on the vaccine). You could then let it explore outside with your supervision. Before you let it have free access outdoors, make sure you have had your kitten neutered (at around 5-6 months), that it is fully vaccinated and has become used to life in your house. It is important that your cat can be identified if he becomes lost or injured away from home. Microchipping is the best form of permanent identification and some people like their cat to wear a collar as well. When your kitten becomes older (over 6 months old) you may like to fit a collar on so that he has some form of identification or to carry a magnet or ‘key’ to an electronic cat flap – never put on a collar just for the sake of wearing one. For a young, rapidly growing cat you will need to remember to check the collar’s fit (you should be able to get one or two fingers under the collar) and increase its size accordingly.